Your sponsorship covers food, housing, basic medical care, school fees, uniforms and books, and tutoring. 1. 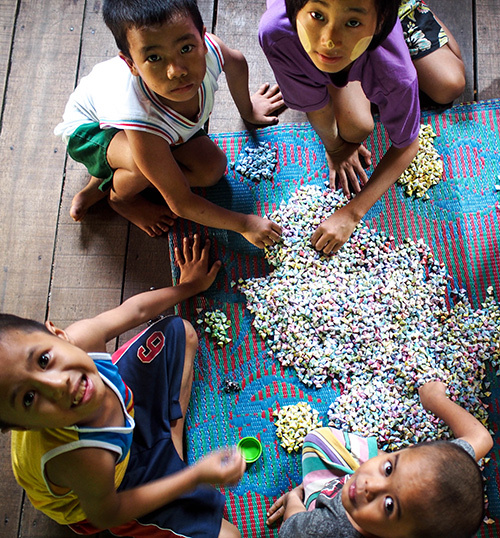 Dependable, monthly financial support provides the basic necessities of life for these children in Dalla Township and North Dagon, Yangon, Myanmar. There are 25+ children in each of these two homes. 2. This monthly support covers food, housing, basic medical care, school fees, uniforms and books, and tutoring for one child. Aid Myanmar believes that tutoring is very important as it often will mean the difference between a future in the service industry or a future pursuing post secondary education. 3. Since 2012, Aid Myanmar founders, Stephen and Marian Fortner, have witnessed big improvements in the housing of these children, their health and physical condition and their very encouraging academic achievements and obvious pride in their annual school awards! We hope that regular funding will provide the basic supports that these children deserve so they may grow and become the young leaders of their professions and communities. 1. Sponsorship is $30.00 U.S. per month, by Paypal. We also accept e-transfers to donations@aidmyanmar.com and Visa and Mastercard. If it is by credit card it will clear through Stephen Fortner Goldsmith. Aid Myanmar founders, Stephen and Marian Fortner will personally cover all administration costs (cc commisions, Paypal fees, bank charges) so 100% of your donation will go to the children. Funding is transferred to our agents in Myanmar on a monthly basis and we require a monthly reckoning from the agents of how funding was spent. 2. Donors may commit to making monthly contributions or find it more convenient to make a quarterly or bi-annual donations. This commitment will continue until the child graduates from Grade 12 or the donor wishes to revisit their involvement with Aid Myanmar. 3. Aid Myanmar will match a child with the sponsor and forward the child’s biographical details and picture to the sponsor. 4. Upon request, a sponsor may engage in an ongoing penpal correspondence with their ‘sponsee’ via Aid Myanmar’s email (marian@aidmyanmar.com ). 5. 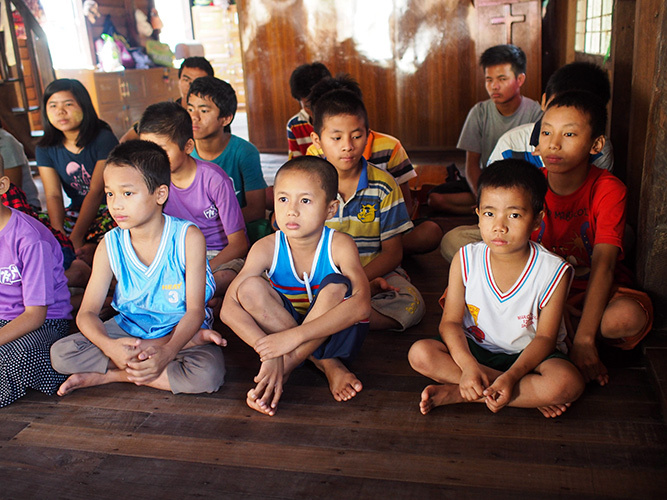 Sponsors will receive a monthly newsletter from Aid Myanmar, by email. Change a life for the better by becoming a sponsor today.